According to latest reports, last week’s Black Friday not only marked the beginning of the holiday shopping season but is also viewed as the busiest day for retail in US history and in Germany as well record figures were expected yet again. 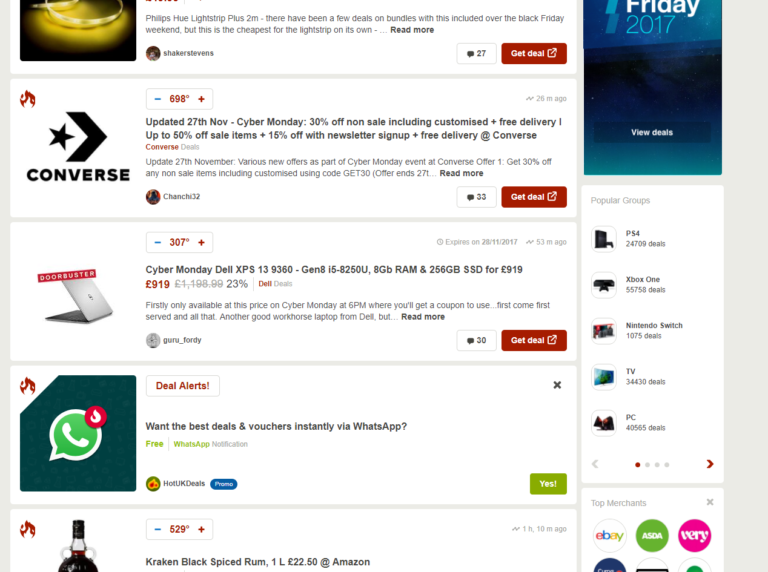 Messengers are the perfect channel to inform the customers in realtime about your great offers. In the following we will give you some real-life examples of WhatsApp deal alerts. No matter if you take a look at Saturn’s Black Week, Amazon’s Cyber Monday Week or eBay’s Spotlight Deals, all companies in e-commerce, whether large enterprises or small retails, they all offer extraordinary deals for this special time in sales. But why aren’t these great offers distributed quick and easy via Messenger Marketing? 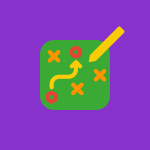 Especially in Europe WhatsApp is widespread and used intensively among all ages and is hence the ideal channel to distribute WhatsApp deal alerts and inform about promotions. Various customers in e-commerce successfully use WhatsApp – we will shed light on the recent Black Friday from a customer’s point of view using WhatsApp for staying informed about special offers. Beauty Bay uses WhatsApp to inform their customers about the newest launches, previews, exclusive offers, blog posts and MORE! Vision Cruise sends it’s subscribers special offers for ship cruises several times a week. 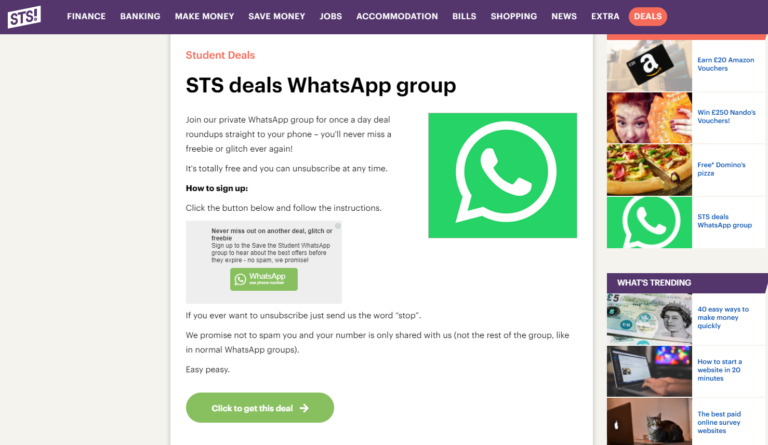 Save the Student Deals is using WhatsApp to inform their subscribers quick and easy about available student jobs, tips for saving money and short term offers or even freebies – all especially designed for students. 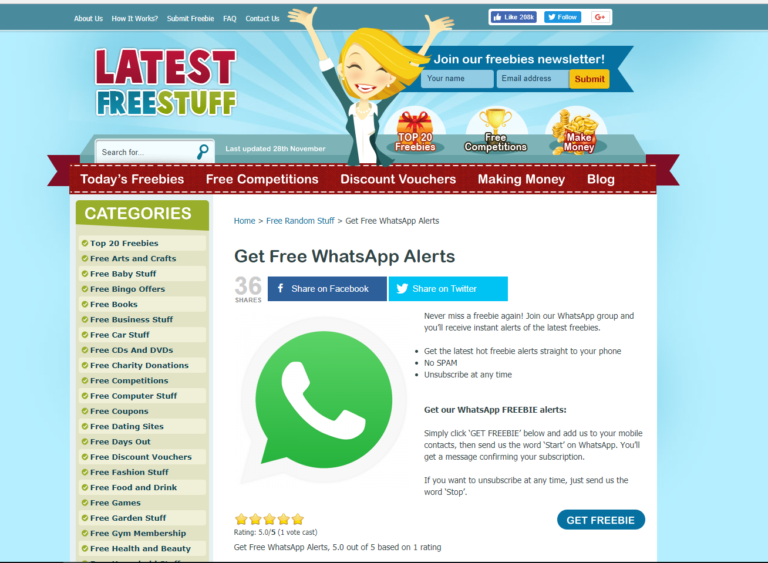 The shopping community Latest Free Stuff also informs its community about special offers and freebies fast and easy via WhatsApp. 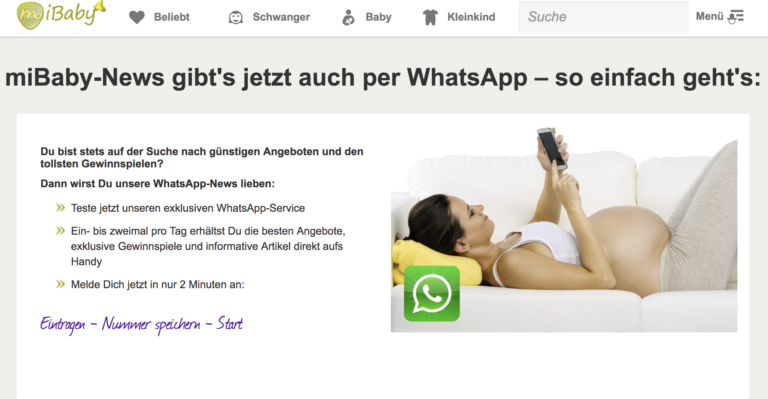 The German startup MiBaby uses its WhatsApp Newsletter two ways, on the one hand you can receive news according to your week of pregnancy or your child’s age, on the other hand you can take part in exclusive prize games. 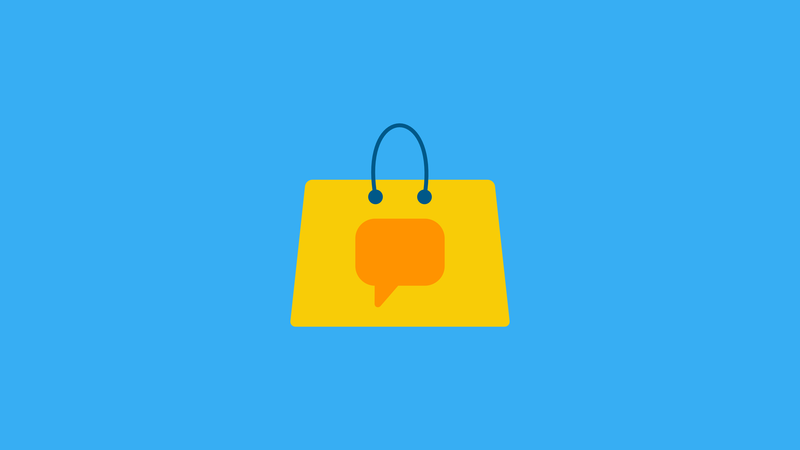 The following examples show how our customers from social shopping and deal platforms use WhatsApp for distributing their Black Friday offers successfully. 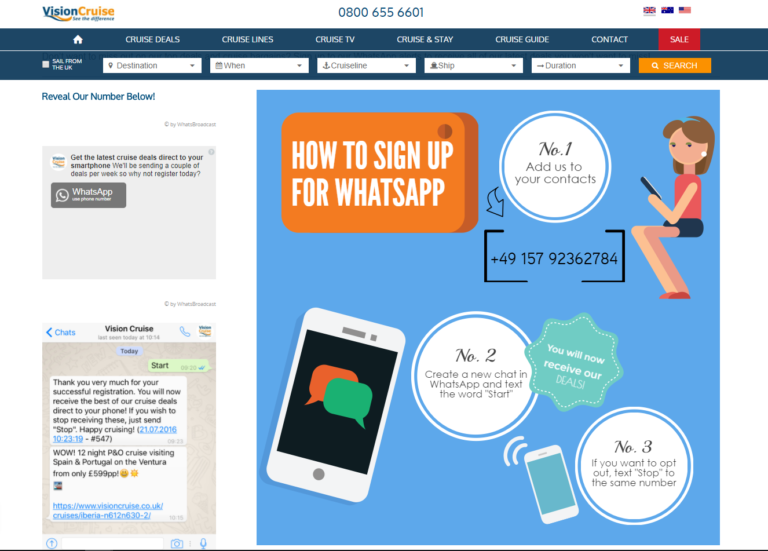 Hot UK Deals, a social shopping community, is a successful example for native integration of WhatsApp into their platform. To close, an outlook on customer service, which is closely linked with e-commerce, because only happy customers come back. 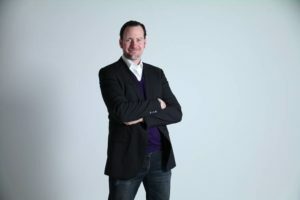 Florian Lüft‘s, CEO Ridotto Group, assessment is clear: If you want to see the future of customer service you have to take a look at China. Customer Chats with reaction times of 3-4 seconds are no longer a futuristic vision, but a standard. Competitors who can’t sustain this fast pace will lose. And this is what will happen here too – it’s just a matter of time.